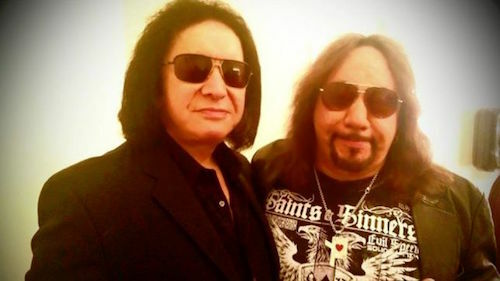 KISS bassist/vocalist, Gene Simmons, has revealed that he’s co-written two songs with Ace Frehley for the guitarist’s next solo album. In February, Stanley ruled out the possibility of Frehley returning to the KISS lineup after increased speculation at the start of the year. No RTunes, he’s trademarking the act of writing songs with Ace, so anyone who writes with Ace has to pay him. Ace has lost weight, is in shape, and is ready for a Kiss tour; Gene knows the intrinsic value of Ace…mo …I see Kiss with Ace on a final record and tour……it’s just too good, too juicy even…to pass up….YOU WANTED THE BEST YOU GOT THE BEST….IT’S KISS!!!!!!!!!!!!! …more important is that Gene knows Ace’s intrinsic value…but,….Gene also knows Ace’s instrumental value…..Ace is center stage, with Kiss, for a 2018 final tour….big bucks…Tommy is gracious about it….Ace is Space Ace …and here we go. Ace haz earned his old job back…look at him…Ace at his best is better than ANY Kiss guitarist….Gene knows it, and Paul…deep down…knows it…and Eric Singer…he is on board…..and …..Kiss Alive 2018 BLOCKBUSTER!!!!!!!!!!!!!!!! !